Millennium Martial Arts was established in 1996. The instructors have all been trained and are certified Black Belts in the widely sought after system of Traditional Okinawan Karate-Do known as Ryukyu Kempo Karate and Ryukyu Kempo Kobudo. Millennium Martial Arts instructors work diligently to strive to be role models for all of our students by teaching and following a core philosophy known as the Dojo Kun and Guiding Principles. These core principles cover areas such as honesty, sincerity, perseverance, and respect. At Millennium Martial Arts in Smithtown, we strongly encourage community spirit, good moral character, and academic achievement – in fact, we award children for improving and sustaining good grades (see Childrens Programs for more information). We believe in being good citizens, and regularly promote community service and family activities through events such as Multiple Sclerosis (MS) NYC Bike tour, Red Cross Blood Drives, Adopt-A-Family, summer picnics, seasonal holiday parties, and Dojo Olympics just to name a few. 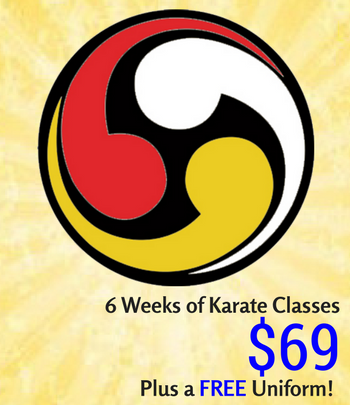 Ryukyu Kempo Karate includes open and closed hand strikes, blocks, elbow strikes, knee strikes, kicks, grappling and traditional stick weapons that are taught to students through traditional methods including kata (forms), “bag work”, and partner drills. As each student progresses in skill and rank, emphasis is placed on proper mechanics and efficiency of motion. Through creative drills designed to keep the classes interesting, we are successful in developing strong and able martial artists in a fun, safe, and active environment. 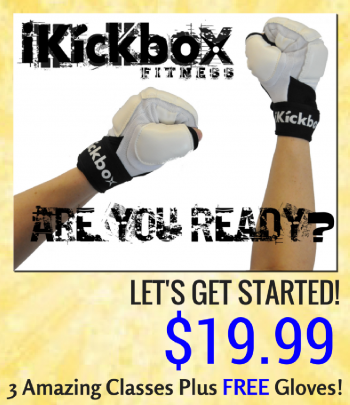 We begin each class with a warm up period proven to increase flexibility and strength. Each student, regardless of how flexible they are when they start will notice an almost immediate improvement in their ability to stretch. Everyone is able to train in Ryukyu Kempo regardless of age or athletic ability – all drills are designed to allow people to work within their own capability while providing a vehicle for challenging themselves to reach new levels of fitness and endurance. Ryukyu Kempo Karate as taught by Millennium Martial Arts in our Smithtown Martial Arts dojo is first and foremost a life protection art. Other martial arts systems that focus on sport and tournament competition aspects. During Martial Arts classes, students are taught how to apply their techniques in practical, real life situations. Repetitive practice using innovative self defense scenarios builds the confidence and reflexes necessary to defend oneself. A Kata is a prearranged sequence of movements containing strikes, blocks and grappling techniques. It is a traditional method of learning karate that instills muscle memory along with a practical understanding of the techniques and their applications. Mixed Martial Arts are very popular in the world of self-defense and competitive sport fighting. The wide spread excitement over cage fighting events on television has contributed greatly to its growth. Mixed Martial Arts takes components from the stand up fighting systems found in traditional Karate, boxing, Muay Thay and adds ground techniques found in systems such as wrestling and Jiu-Jitsu. Ryukyu Kempo in its most traditional incarnation teaches proficiency in stand up fighting with hands, feet and body movements that will, in many cases, prevent a fighter from winding up on the ground, however, there are no guarantees. It is with this in mind that the Ryukyu Kempo traditional katas studied by the students at Millennium Martial Arts contain many throws, locks and grappling applications. In an effort to expose our students to as many conflict scenarios and fighting styles as possible, Millennium Martial Arts includes ground fighting techniques, take downs, and take down defenses within our systems of drills and skills.